CHECK OUT THE LATEST PRODUCTS, SHOP HAPPENINGS, AND OTHER FUN STUFF HERE ON OUR NEWS PAGE! 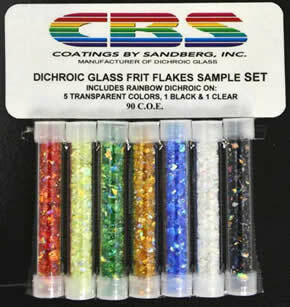 BULLSEYE CLEAR RAINBOW IRIDIZED FRIT IS HERE! 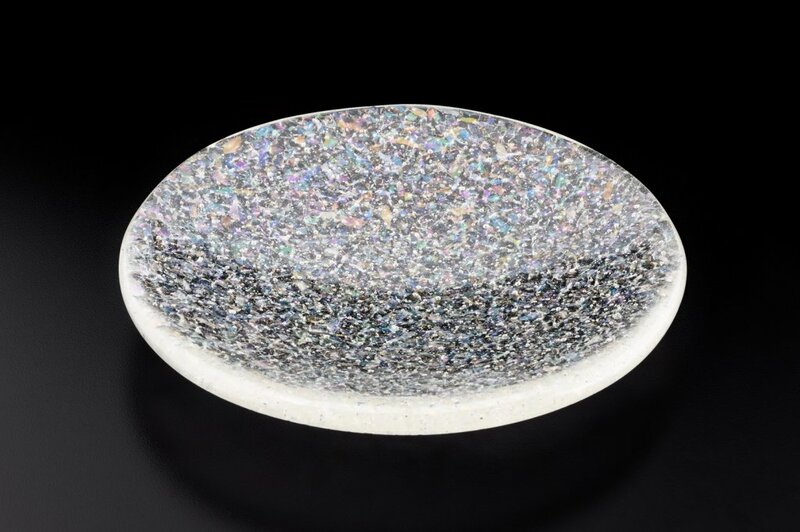 Add a touch of subtle sparkle to your cast and fused kiln-glass! 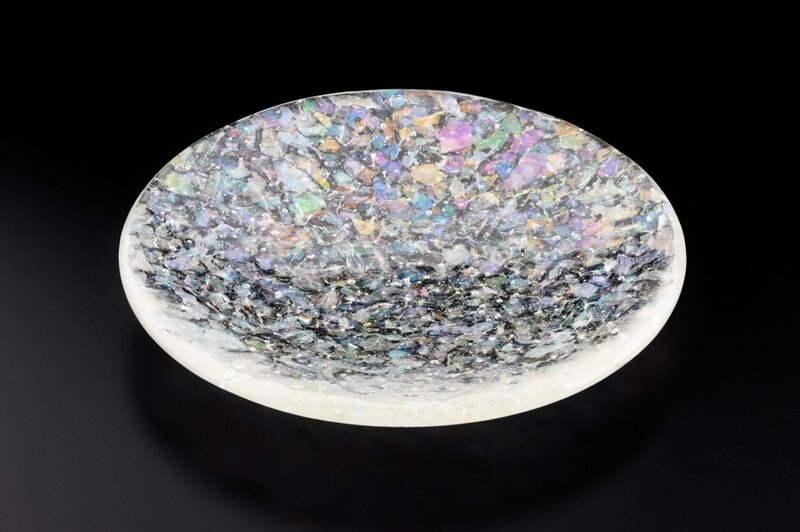 New rainbow iridized clear frit from Bullseye Glass makes it so you don't have to crush your own anymore. 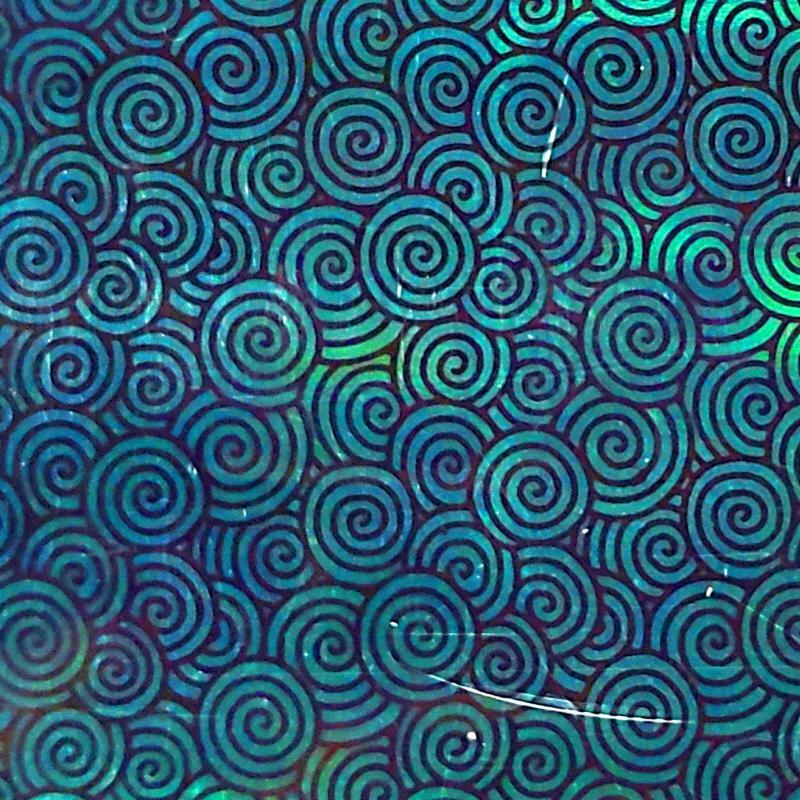 Use the extra large frit to add a bit of organic iridescent pattern beyond form, texture, and color. 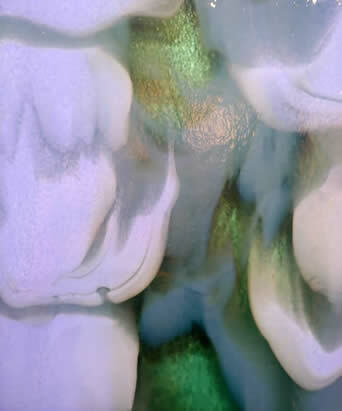 The Medium and Coarse grits will add sublime metallic sparkle to your work. Available in Extra Large, Coarse, and Medium grits; check them out today! Just like glass candy! 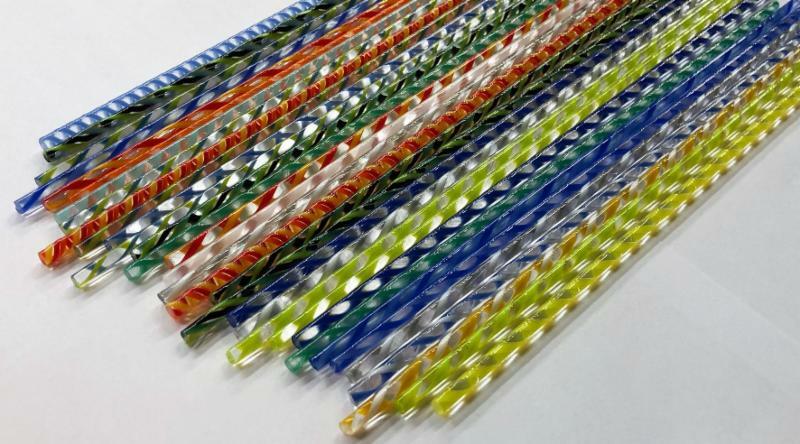 Use these great little Bullseye-compatible twisty rods to add embellishments to your fused projects and mosaics. Also great for beadmaking and torchwork with other 90 COE glass! 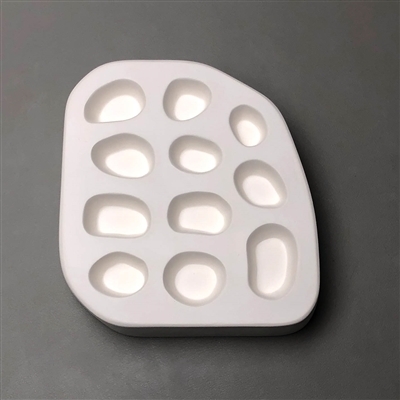 NEW REUSABLE CASTING MOLD DESIGNS! 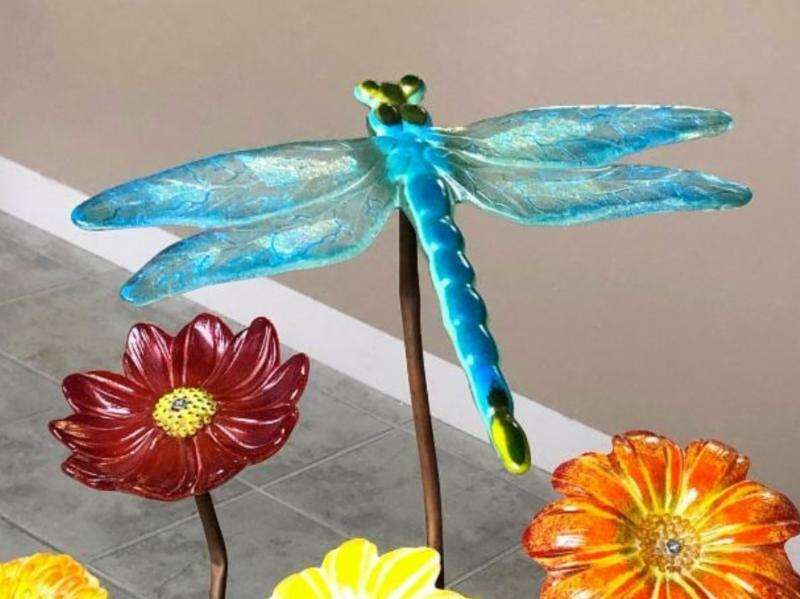 Create a field of dragonflies to fill your porch, garden, set on a fence, or anywhere you want them! 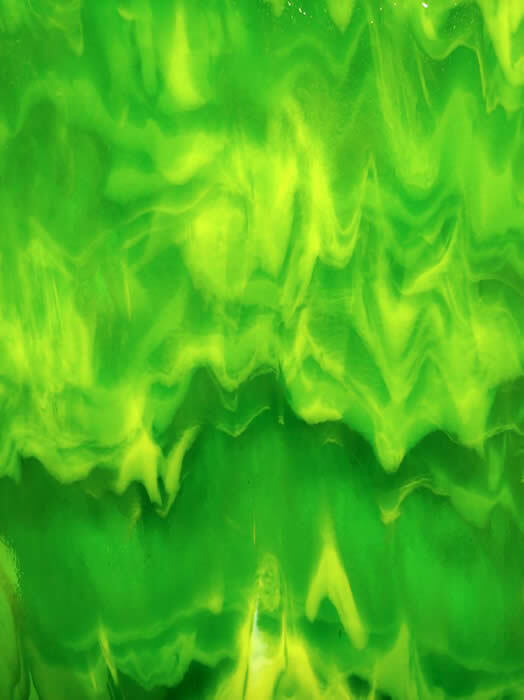 The generous 15" x 12" size will make a dramatic presentation, and is great for using up scrap glass. 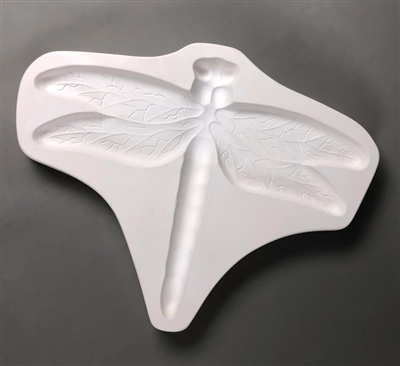 Whip up your own dragonfly family today! 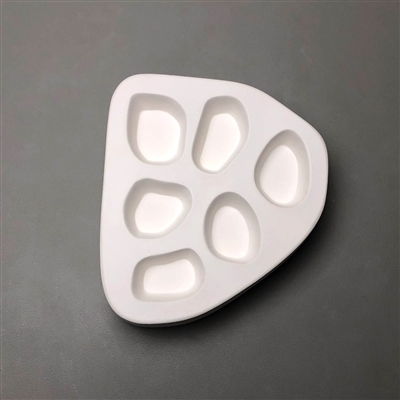 Designed by guest instructor Mark Hufford, these molds will make creating your own rocks and pebbles a breeze. 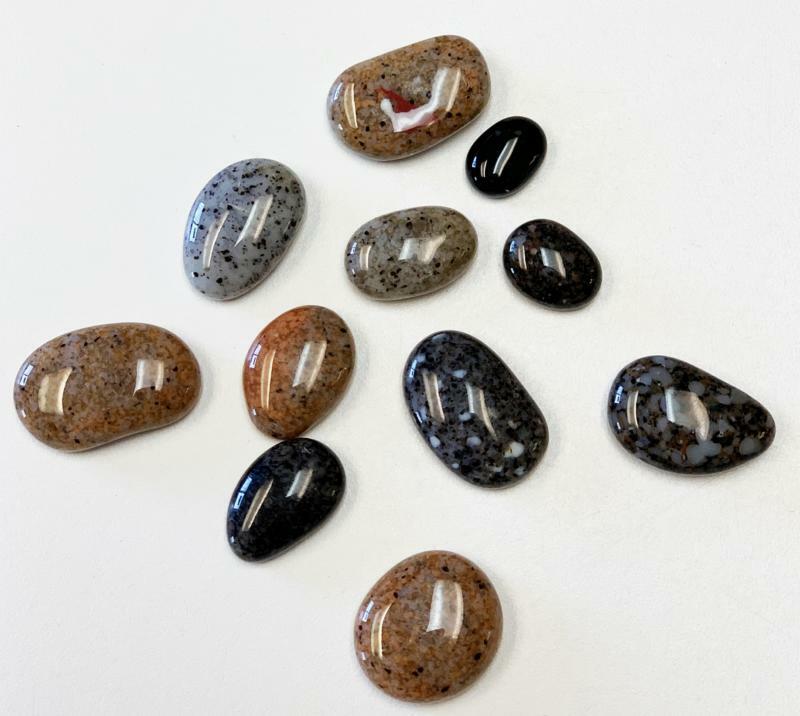 A great way to use up scrap glass and frit, the rocks are great on their own or perfect for inclusions in larger projects. Variety of sizes to choose from! 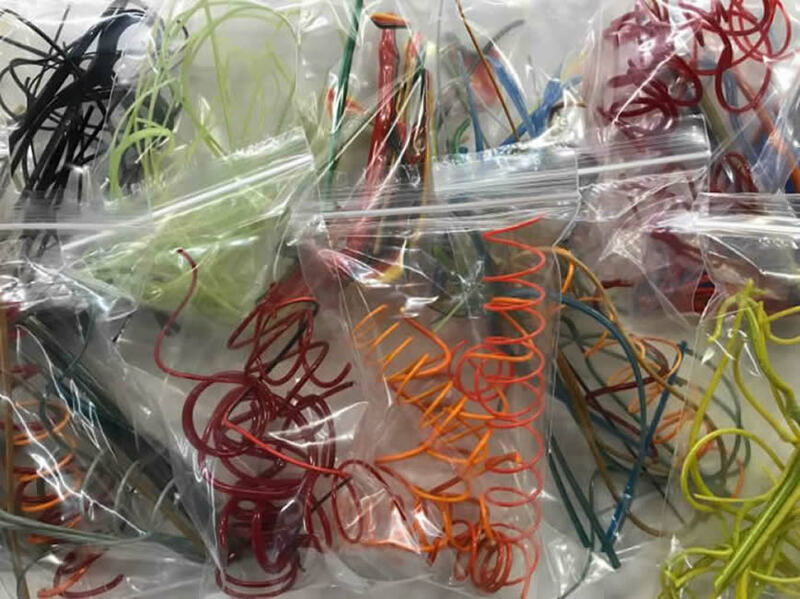 Use for slumping component parts for windchimes and suncatchers, to create business cards holders, or for anything else you want. 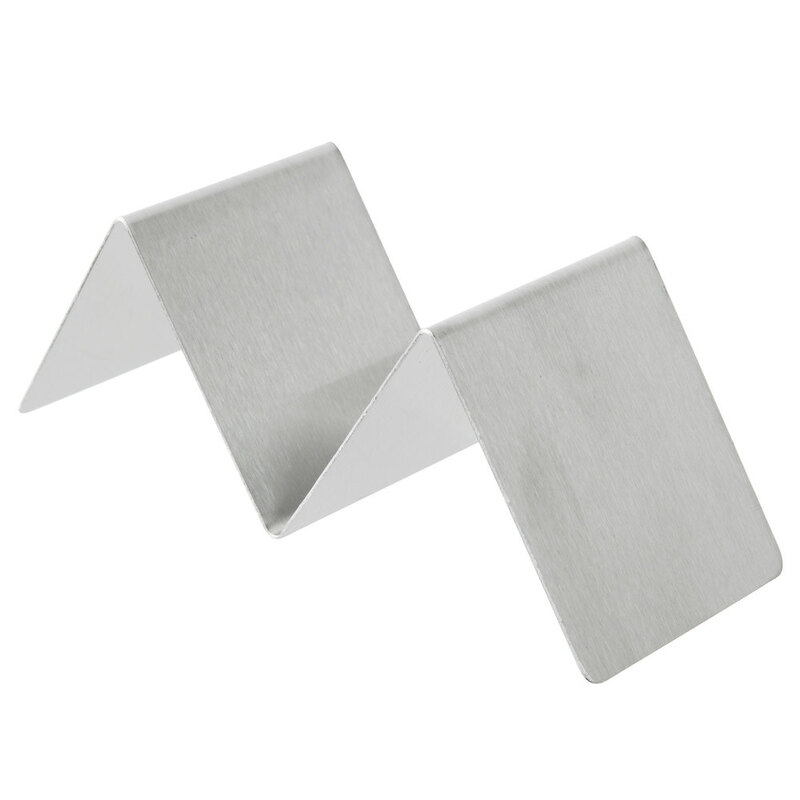 Durable stainless steel construction will last through many firings. Coat with ZYP mold release for best results (available separately). We've tried it, and we LOVE IT! It's super quiet, with minimal vibration, and includes the Quick Fit bit system for fast and easy changing from one bit to another. The Aqua Flow system eliminates the need for sponges, and is always snug against your bit, ensuring adequate water flow for maximum performance and bit life. 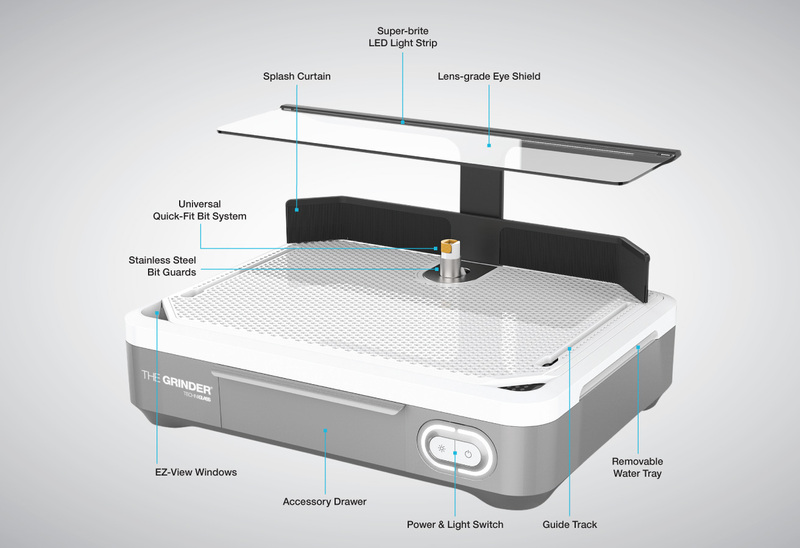 The controls are intuitive, and the built-in LED light strip illuminates everything clearly without the need for a separate lamp. 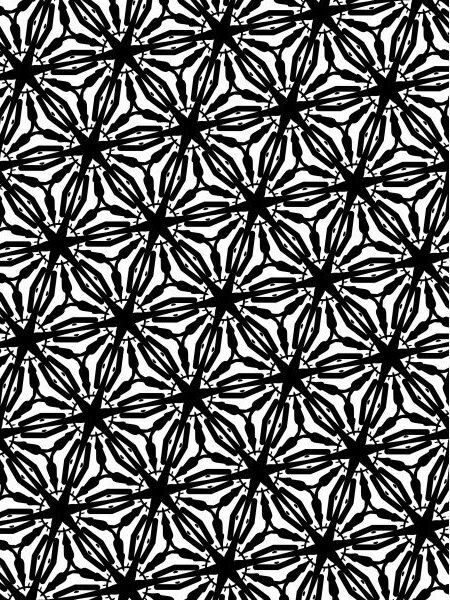 SIMPLE SCREENS RESTOCKED- NEW DESIGNS NOW AVAILABLE! 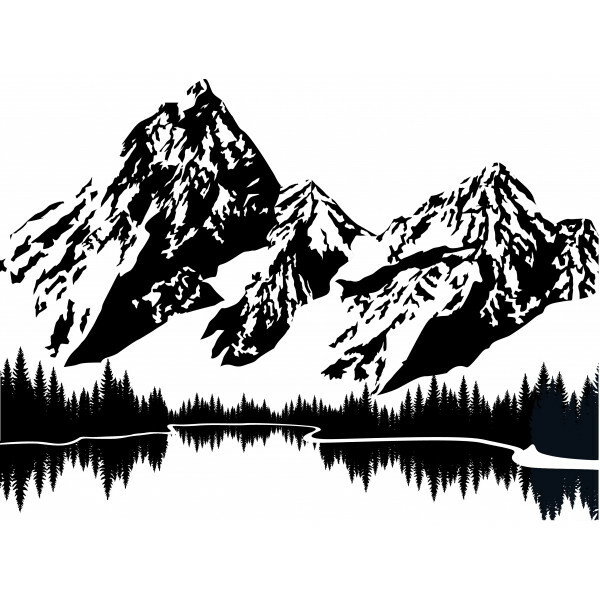 Easy-to-use pre-made silkscreens in a variety of great designs. Add detail and interest to your pieces without having to burn your own screens! 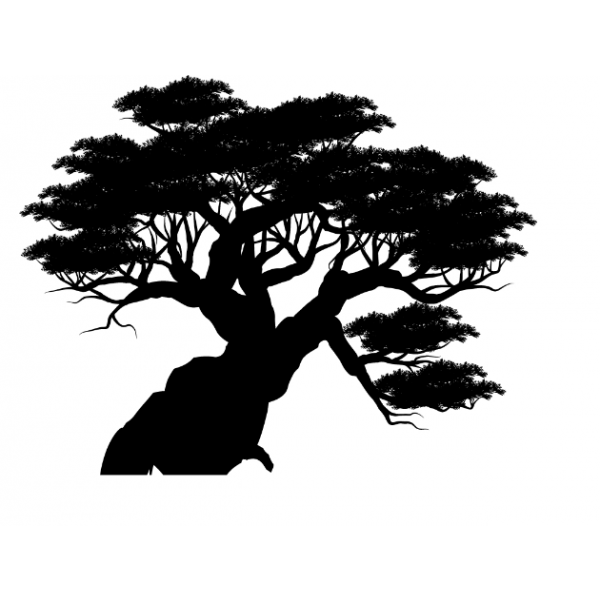 Use with enamels or powder and fire for amazing results. Simply rinse, dry, and use again! Assorted designs available, check out some of the latest additions to our collection below! MARK HUFFORD'S NEW BOOK NOW IN STOCK! 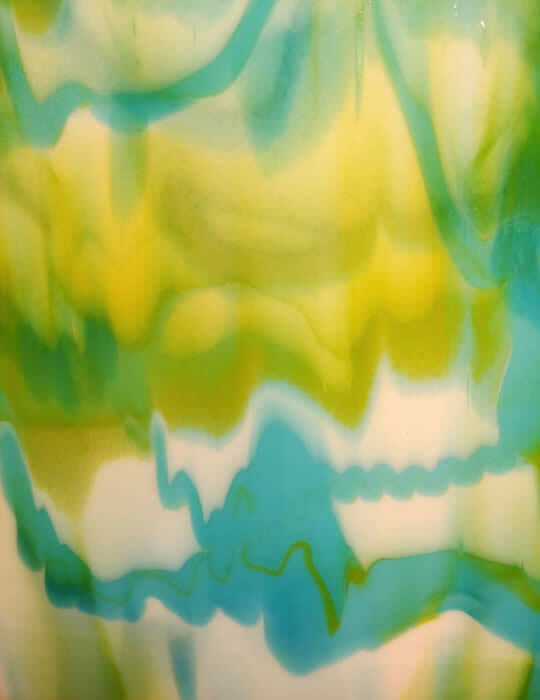 Get your copy of The Art of Fused Glass Enamel Painting today! 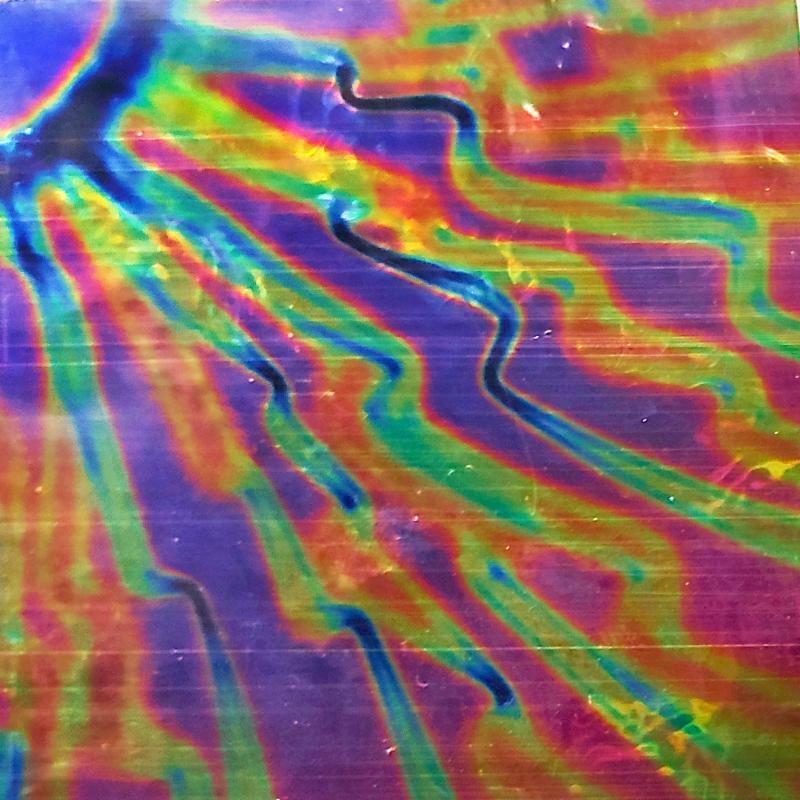 This long-awaited book covers techniques that Mark uses with Hues to Fuse, Colors for Earth, Unique, EZ Fire, and other specialty enamel products. 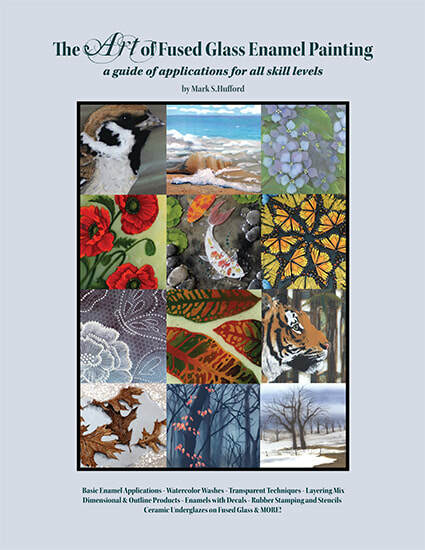 Basic enamel applications, watercolor washes, transparent effects, underglazes and more are all covered in this amazing encyclopedia of methods! The spiral binding on the book helps it lay flat on your work surface, also making to easy to scan and copy designs and patterns. It includes 150 pages with over 250 full color photos and illustrations. Blank pages are included in each section for you to record notes and results, making this the ultimate customizable reference! We've just restocked our bins with a huge variety of gorgeous dichroic, perfect for all your fusing needs. 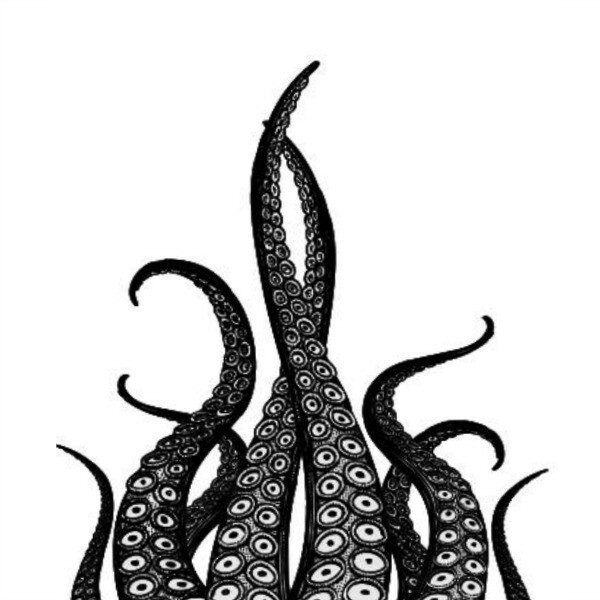 Choose from an enormous variety of colors and styles on black or clear, all 90 COE. 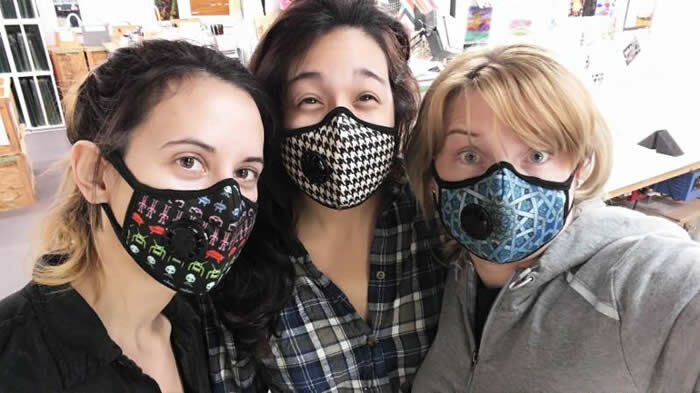 Reusable, colorful and fashionable particulate masks- NEW PATTERNS NOW AVAILABLE! 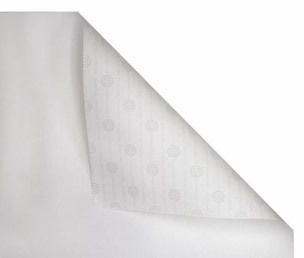 Use anywhere you would require a standard paper particulate dust mask. Each mask has a recommended life span of three years, and is washable. Tight-fitting adjustable nose makes it easier to wear with glasses without fogging them up than a standard paper dust mask. 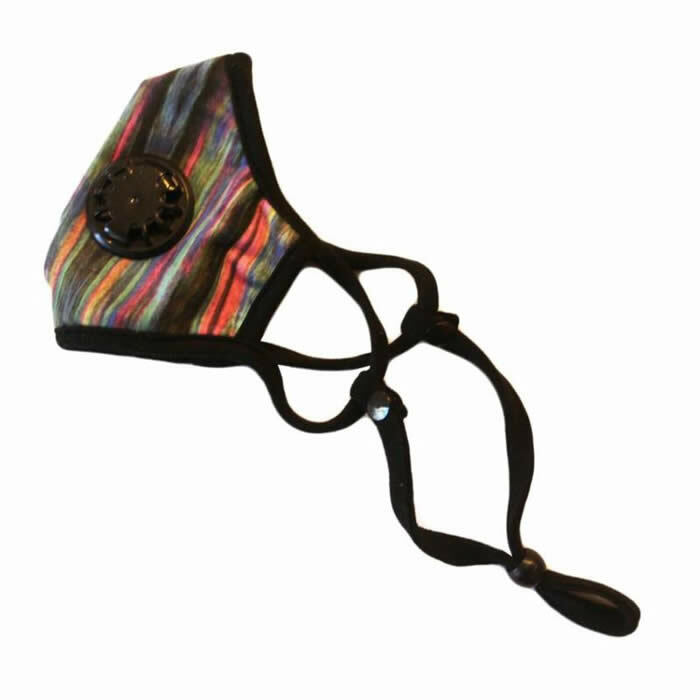 Huge variety of colors and patterns available; headstraps also available (sold separately)! NOTE: Not intended for fumes, vapors, or oil-based particulates. L to R: Colleen in "8 Bit", Rachel in "Tooth", Sharon in "Chakra"
LAMPS FOR ALL SEASONS 2019 CALENDAR! 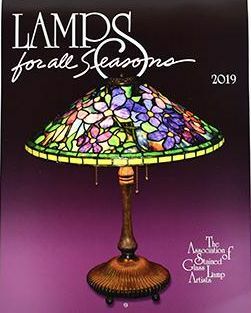 This beautiful calendar put out by the ASGLA (Association of Stained Glass Lamp Artists) is back for the new year! Featuring the works of lamp artists from all over the world, this is a treat for the eyes. 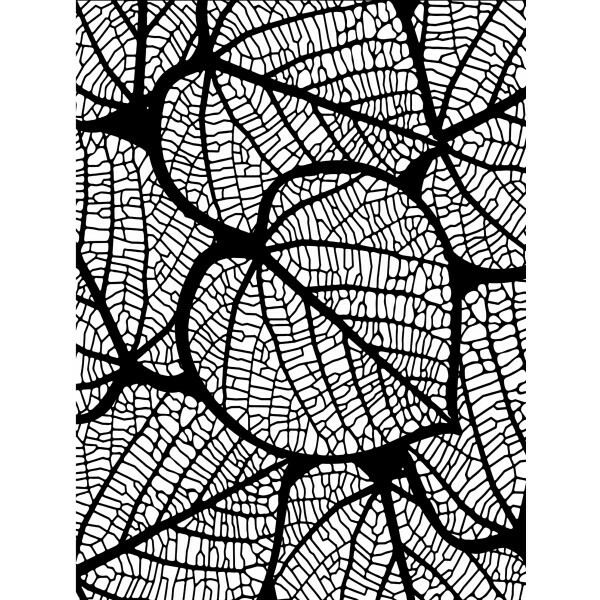 Also wonderful as a visual reference for your own stained glass projects. A new addition to the line of textured molds for fusing! 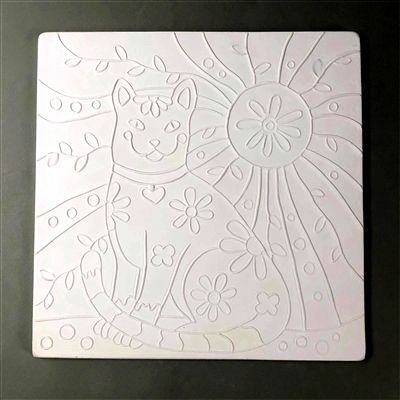 Based on a drawing by Weisser Glass friend and guest artist Mark Hufford, this is a sure bet for any cat or animal lover. Fill with frit, paint or just fuse as-is for fabulous detail! 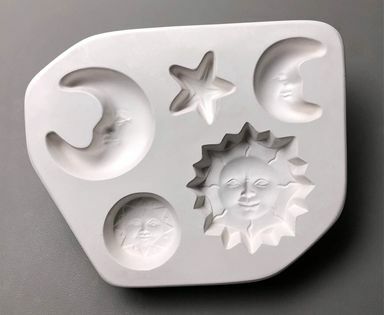 Now you can have the moon and stars with this adorable casting mold. 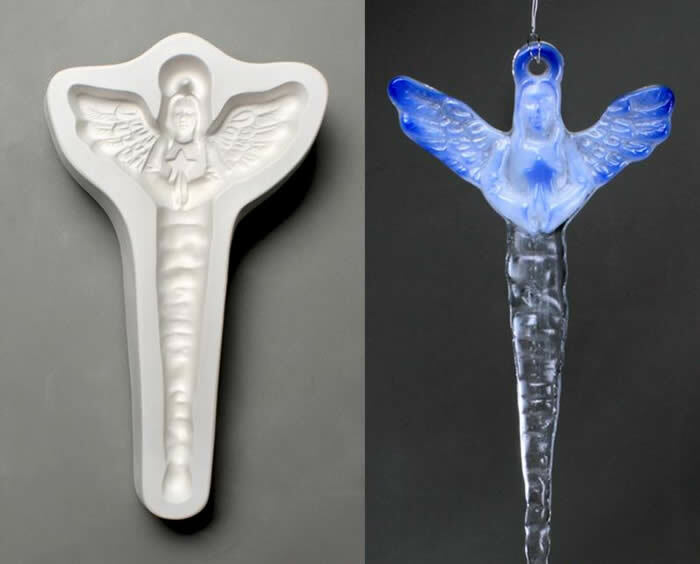 Fill with frit, scrap glass, or make it extra special with dichroic. Guaranteed to please! The ThinFire paper you love in different formats! Available in 20.5" x 65', and 41" x 32.5'. These manageable roll sizes mean less waste in general, and no seams under large fused projects. SO cute! 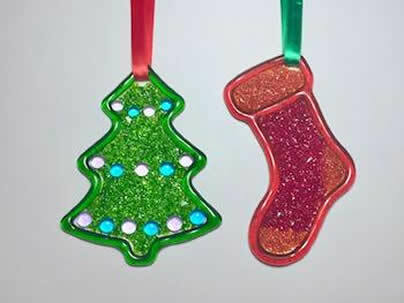 A fantastic way to try out these glittery goodies. Includes 1/4 ounce tube each of five different colors of dichroic-coated flakes, as well as one tube each of clear and black. 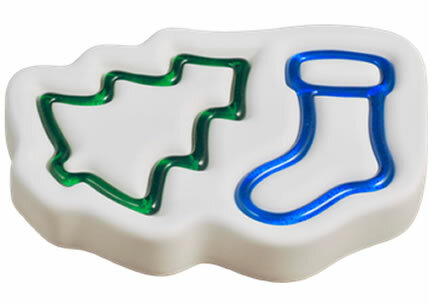 All 90 COE; makes a fantastic stocking stuffer! 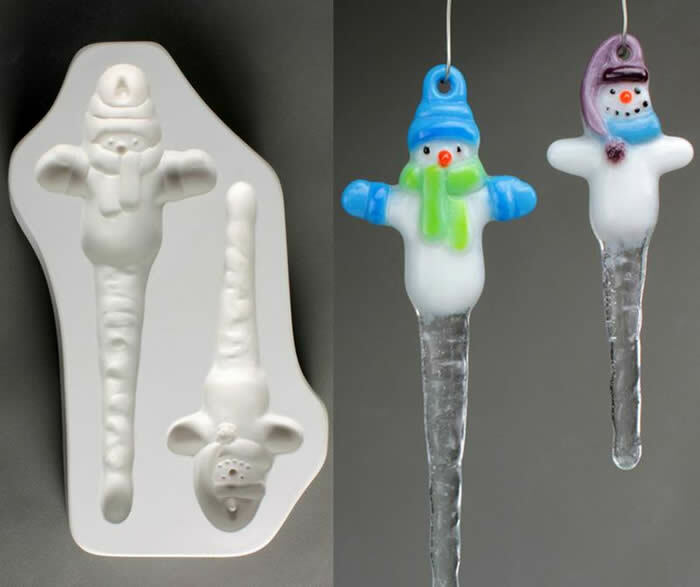 Adorable and easy to make, these icicles make quick and easy holiday gifts! 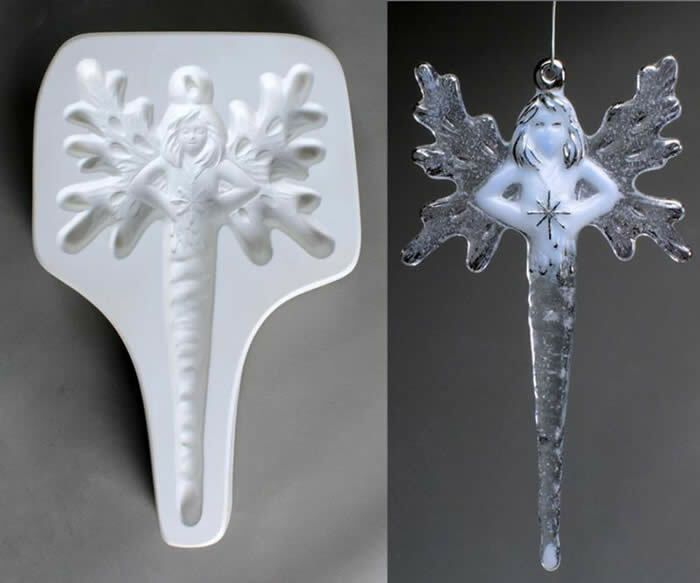 Make them as detailed or as simple as you like; just fill with frit, powder, or scrap glass and fire. Keep them hanging all winter long; guaranteed to please anyone on your list! Lots of colors and styles to choose from. All 90 COE! Weisser Glass is now carrying Big Mouth Glassline paints! These wide mouth jars make the paint easier to work with for all kinds of projects. They have a more fluid consistency and are perfect for pouring! Choose from 14 colors in stock; get yours today! 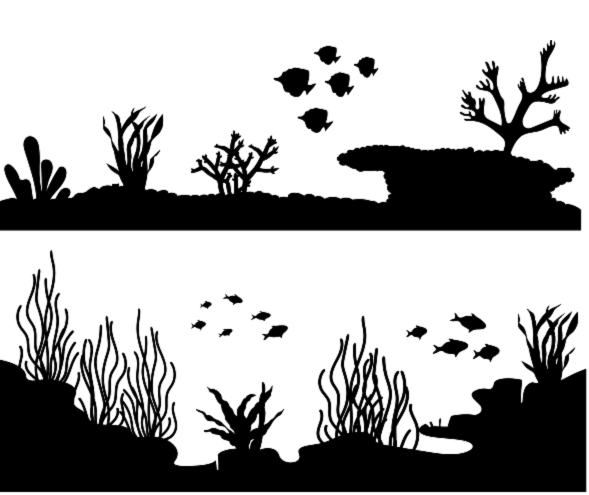 Easy-to-use pre-made silkscreens in a variety of great designs. Add detail and interest to your pieces without having to burn your own screens! Use with enamels or powder and fire for amazing results. Simply rinse, dry, and use again! Assorted designs available. Two fantastic new additions to our line of grinders, we're pleased to introduce these new studio staples. Come in and test drive our studio models today! 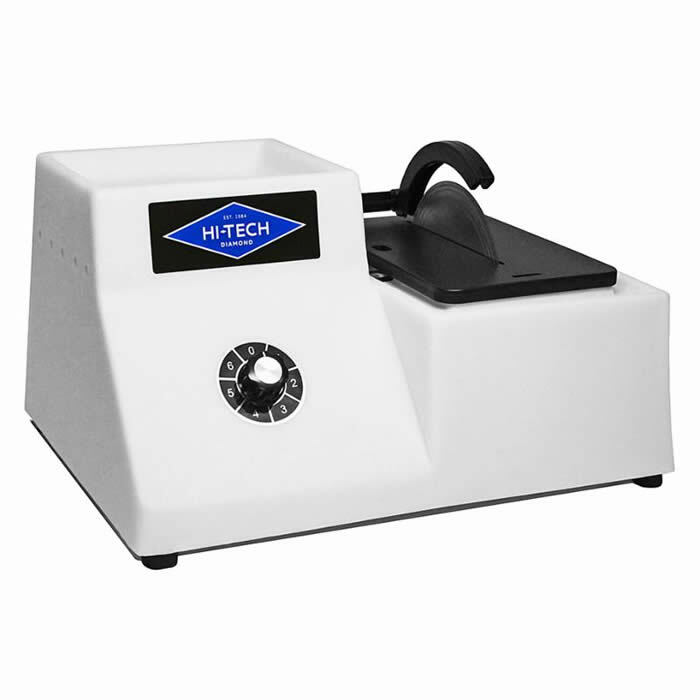 An ideal grinder/polisher for any studio, hobbyist or professional! The unique angled design makes for great visibility and less spray when in use, and also makes it easy to sit while working. 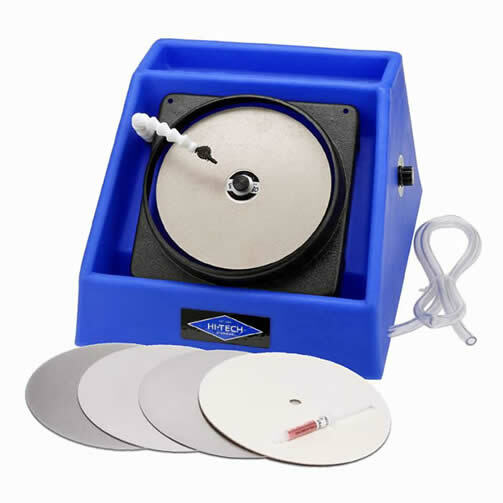 This complete kit comes with the machine, 4 discs of assorted grits, 1 felt polishing disc, and everything you need to get started. No water line or drain setup required! The perfect little tabletop saw for any studio! A small footprint makes it easy to store and move, and the built-in reservoir does not require any water feed or drain setup. 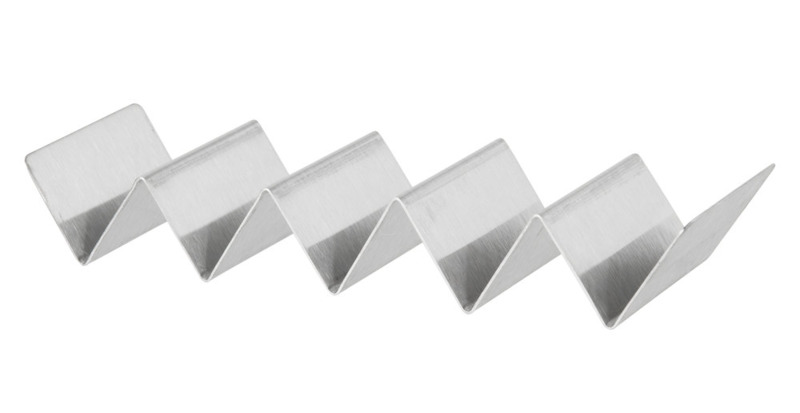 Includes one each of 4" and 5" notched diamond blades, for smooth, clean cuts. 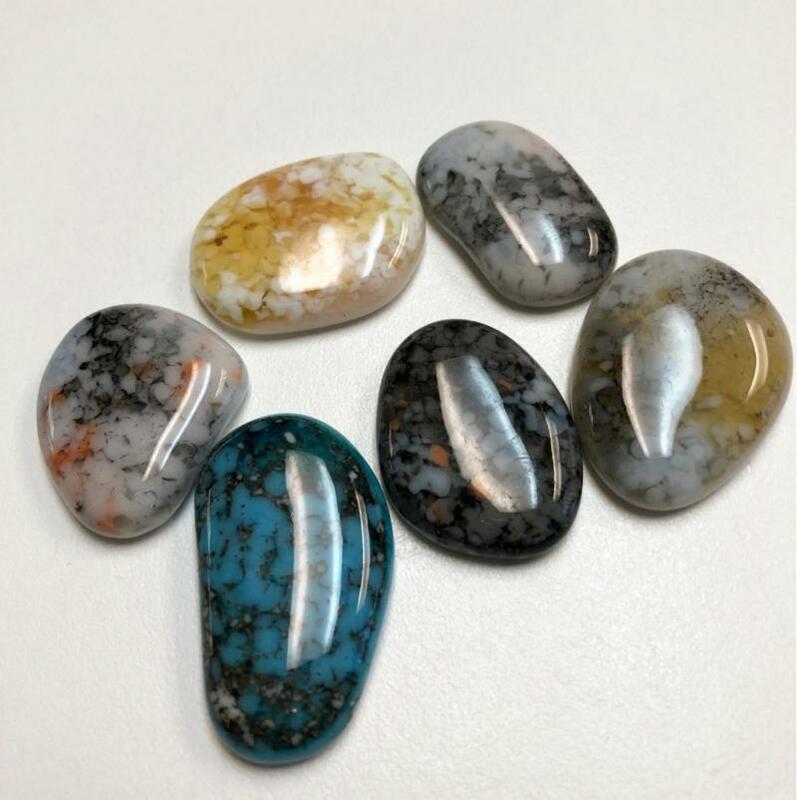 Perfect for jewelry, murrine, canes, and other small pieces! 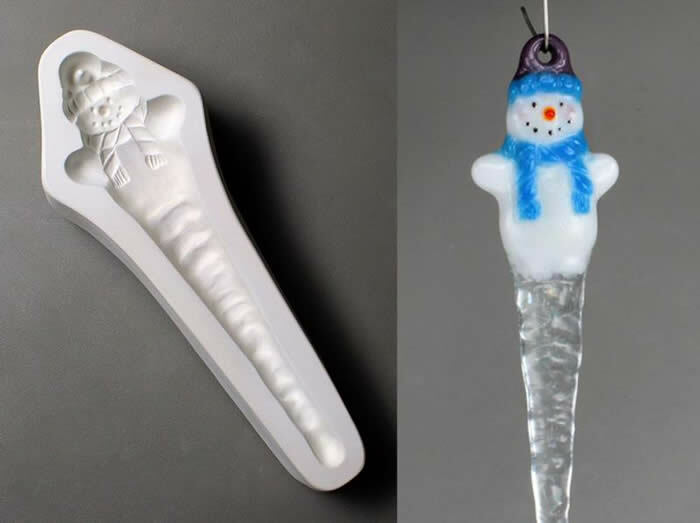 Create festive decorations for windows, Christmas trees, or your office cubicle with Colour de Verre's Holiday Tree & Stocking design. The finished pieces make the dreariest winter day a bit brighter and more cheerful. They're the perfect "little gift" and are easy to make because they require only one firing! 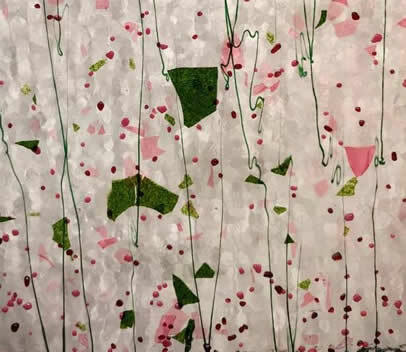 New Special Production fusible collage glass, Blossom is a beautifully textured clear glass with a custom blended mix of coarse frit stringer and confetti. 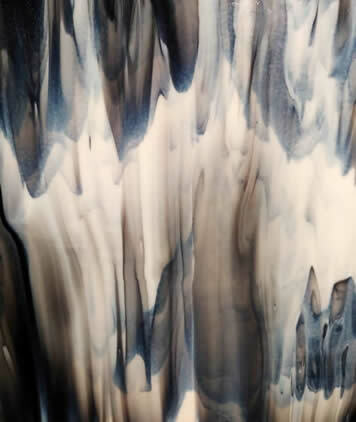 Perfect for landscapes, stained glass projects, and anywhere you need a fantastic, soft painterly look. Available for a limited time only; get yours before it's gone! 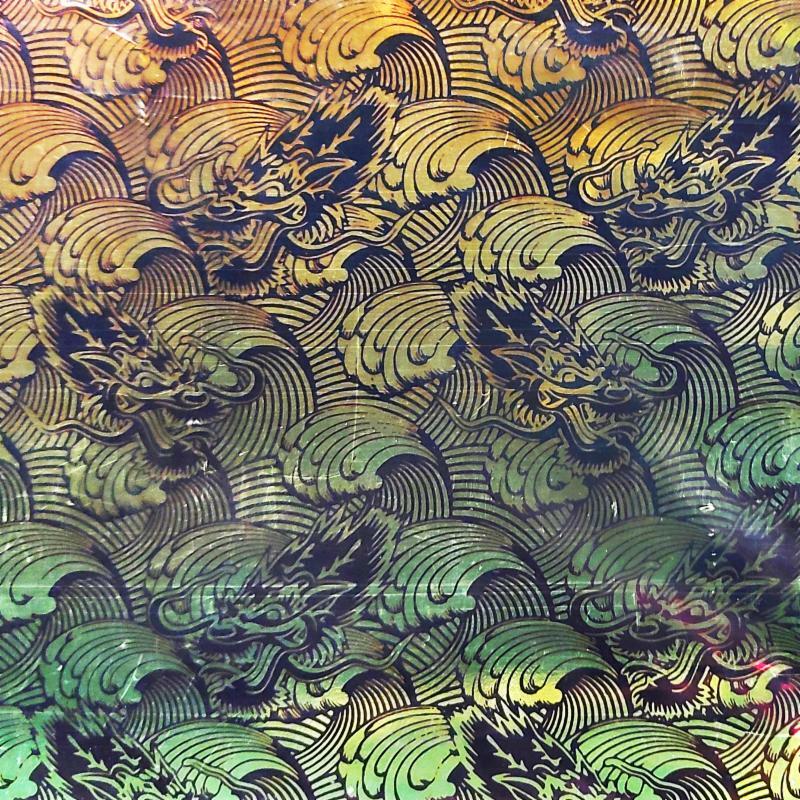 Brand new stock just in; check out the drama and beauty of these limited-production fusible glasses. 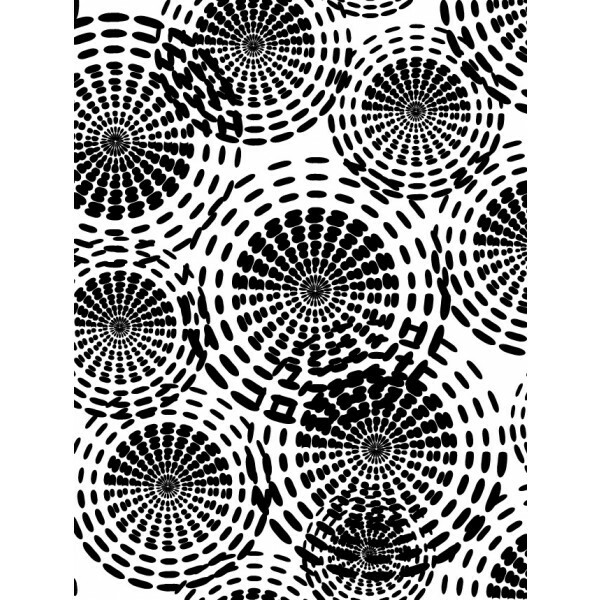 Not just for kilnwork, they can be used for stained glass, mosaic, and much more! Brand new! The perfect size if you only use HXtal for hanging hardware or occasional gluing. 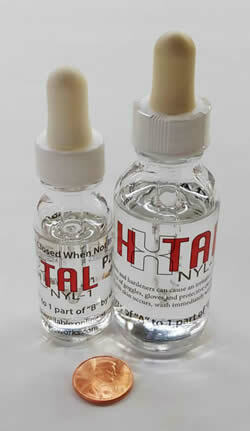 The classic, indispensable HXtal formula in eyedropper bottles for easy measuring and mixing. 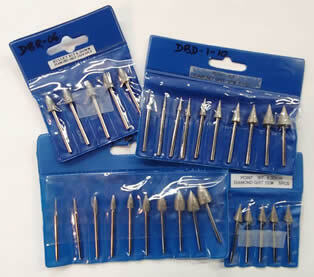 A small kit will also help prevent your glue from sitting out it's shelf life if you don't use it that often!